Grafted tree. Haew is a large fruited selection of longan, an excellent sweet fruit related to lychee. This late-ripening cultivar is good for non-tropical climates. Longan is an excellent sweet fruit related to lychee. 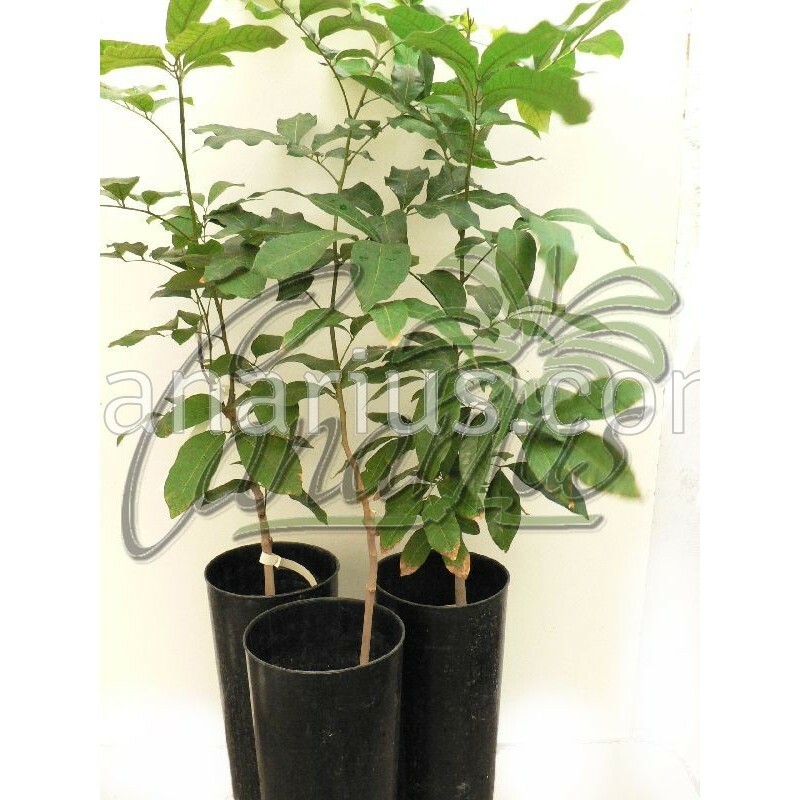 Dimocarpus longan is a tree native to Subtropical China and South East Asia. It has a sweet and musky, grape flavour. The foliage is very ornamental and it makes an excellent garden tree. It is damaged by frost but it can grow in the warmer Mediterranean coastal areas. Haew is a large fruited selection of longan from Thailand. This is a late-maturing cultivar. The fruit is medium to large in size with rather small seed and has an average recovery percentage. The aril is firm and of good eating quality. The fruit rind is rather rough and thick and, therefore, advantageous for longer shelf life. This cultivar flowers easily and produces heavily. Its weakness is its alternate bearing habit. It is good in the subtropics, because cool winter months are necessary for induction of flowering.